Here’s one place for tacos and a spot for a cocktail while you’re in St. Helena. They are united by the welcome presence of fresh lime juice. A tiny grocery store with a small meat department where your tacos, burritos, and/or quesadillas are put together behind the case. 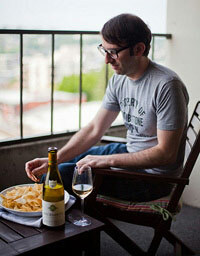 Have your order delivered to you via the small window that joins Azetca to its patio. Ask for some (not pictured) hot red salsa. Cheap and delicious, these carnitas tacos will cleanse and enliven palates worn down by even the most massive Napa Valley Cabernets. Need a break from grape juice in Napa? Try some lime juice. First, Goose & Gander has great food. I highly suggest eating here. But if you just want a cocktail in the afternoon, sitting out on the front patio set a couple blocks back from St. Helena’s main drag is ideal and idyllic. (If the weather is a little chilly, the downstairs bar is a cool spot.) 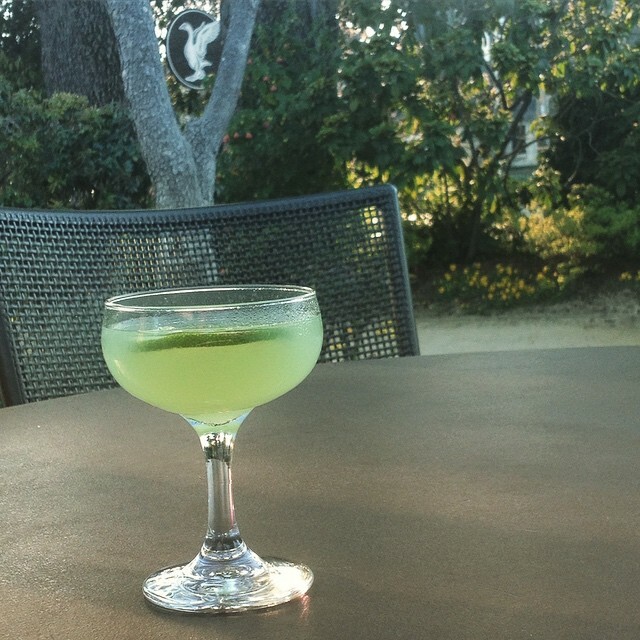 The above cocktail is a blend of mezcal, maraschino liqueur, green chartreuse, and lime juice. Ok, so you want some wine in St. Helena? Check out Corison Winery. I’m planning a wine trip with friends for the Fall! I’ll be referring to this post as we make our plans. Great tips! Thanks for sharing. If you need more suggestions please don’t hesitate to ask. thanks for the suggestions of places to grab a bite and a drink! 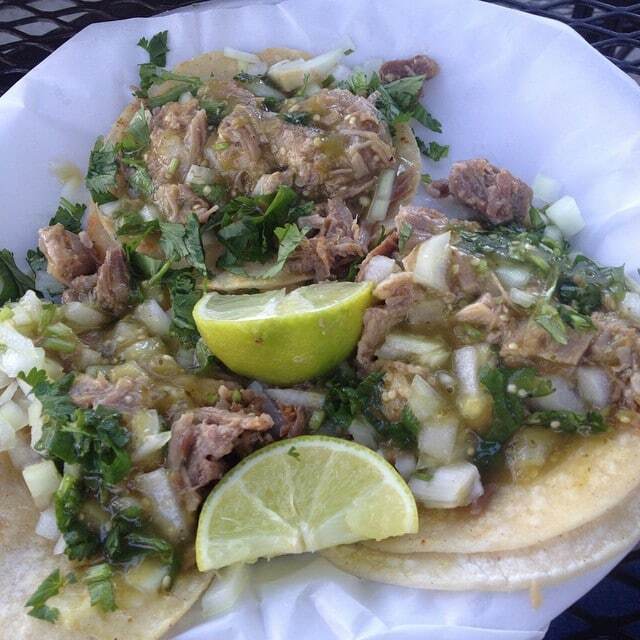 I love how those carnitas look! Sounds good!!! I’m going to have to check with you the next time we visit California. Please do! Happy to help. Sitting outside on that patio is exactly what I wish I were doing right now! This cold, snowy East coast weather doesn’t help, but both the carnitas and the margarita makes me want to be there anytime of the year! Yeah, my apologizes for torturing all my East Coast pals suffering through snow and cold. What I wouldn’t give to hightail it out of this frozen wasteland and spend some time eating and drinking outdoors in beautiful Napa Valley! Little Mexican markets with taquerias right inside are my favorite place to get good, inexpensive food – those tacos look amazing. It’s nice to have an option in Napa to eat that’s cheap and delicious. More money to spend on wine! I love Napa, but have not been to these locations, so thanks for sharing! I’ll tell you what I think. I think I want to go to there!